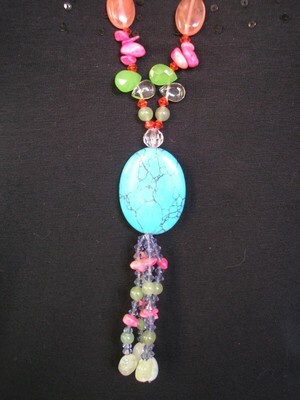 Very unusual and unique long glass tassel necklace. 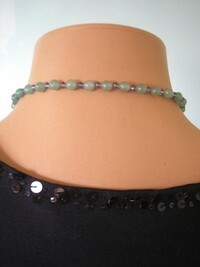 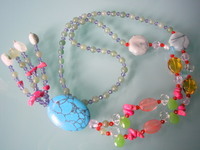 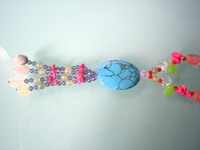 This necklace is made from a variety of different coloured and shaped glass beads. 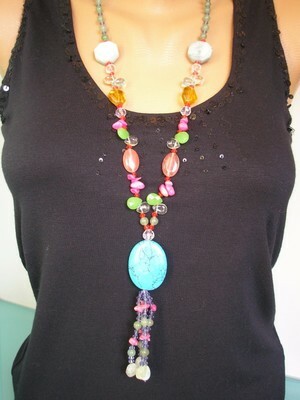 The necklace measures approximately 29 inches (73½cms) in length and has no clasp as it fits comfortably over the head. The tassel measures approximately 4 inches (10cms) in length and includes a beautiful oval turquoise blue howlite stone. An absolute dream for lovers of the unusual and unique!